Contact the owner James @ 503-360-7115 or jec1755(at)comcast(dot)net.I have loved owning MiSol since 2006. 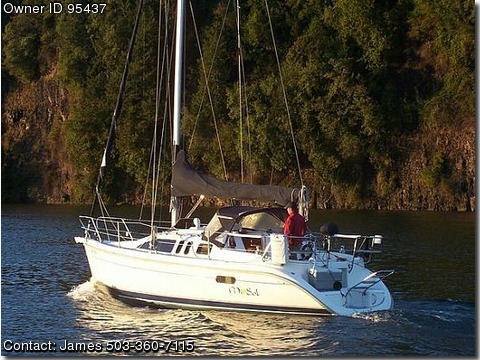 Many outings with family and friends on her deck I have also sailed her solo many times here on the Columbia. St Helens is a fantastic sailing area with lots of room and great conditions year round. With all the lines run to the cockpit it is easy to handle on your own with our without autopilot engaged. She performed well in the local sailing clubs summer races as well. Call or email for a viewing anytime,and for full specs.